Pictures 1 & 2 - the original gambhira where Jagadbandhu kept himself closeted for about 17 years (16 years and 8 months during 1902-1918) and maintained absolute silence. The new red colored Gambhira Temple has been built on it. 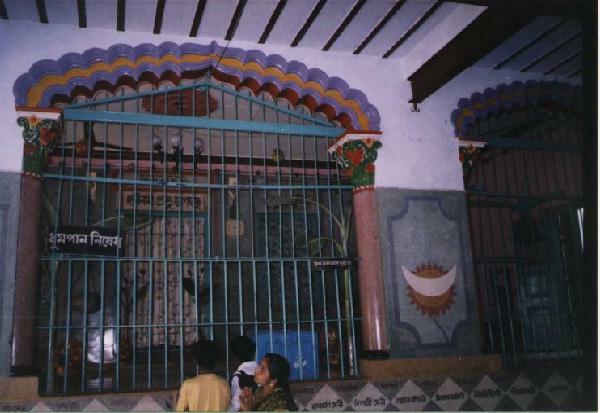 The door with the steel rods remains closed all the time but the Gambhira shrine door where Prabhu is seated is open for the viewing of Jagadbandhusundar at specific times. The Gambhira shrine door is also open during the morning and evening aratis all throughout the year. 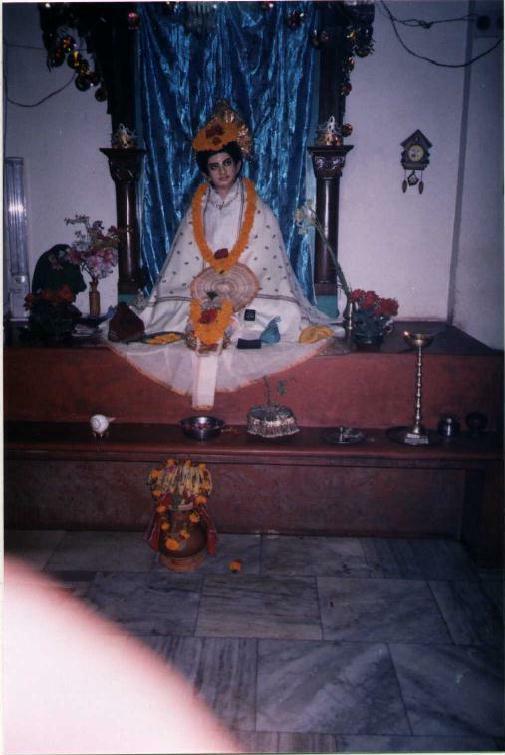 Pictures 3 & 4 - Prabhu Jagadbandhusundar seated in the Gambhira shrine. 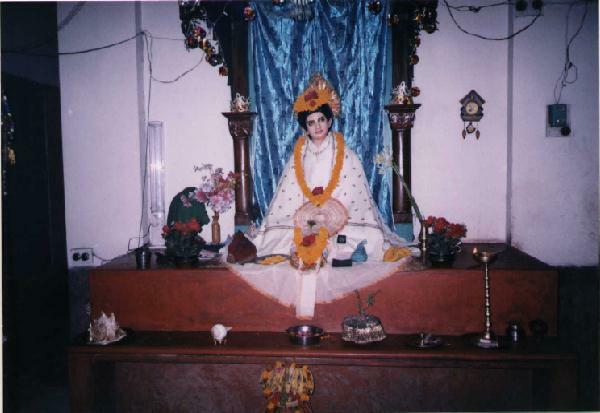 This 'brigraha' (statue) is worshiped during every morning and evening aratis and special utsavs (celebrations) with all-round kirtan. This bigraha of Prabhu Jagadbandhusundar seems to be living and is quite different from the bigrahas in any other shrine. This may be the case because this is where Bandhusundar lived most of his life. 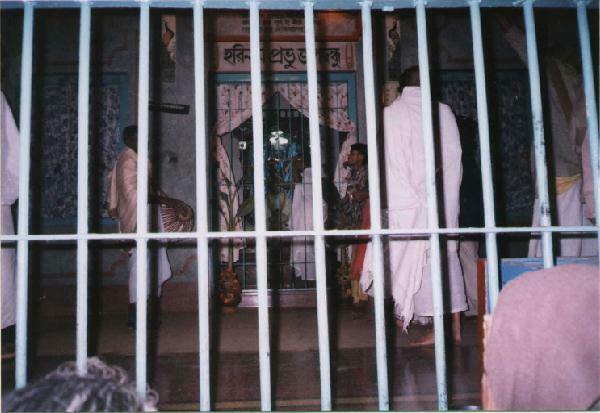 The inside shrine door was opened by the brahmachari in charge to make allowance to take these two pictures. These pictures would not have been possible without the door open.